Kitty Peeper cat window patios for sliding windows - Cat Window Patios from CWAA Crafts! Cat Window Patios from CWAA Crafts! Was That A Cat On A Leash? 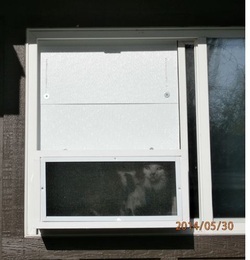 Introducing The Kitty Peeper® Cat Window Patio for Sliding Windows*! Our Kitty Peeper Cat Window is now available for most sizes of sliding windows, and will give your special feline a three-sided view of the outdoor world, where it can feel the breeze, sniff the air, and survey the surroundings in complete safety and comfort. Offers your pet a safe alternative to actually going outdoors! 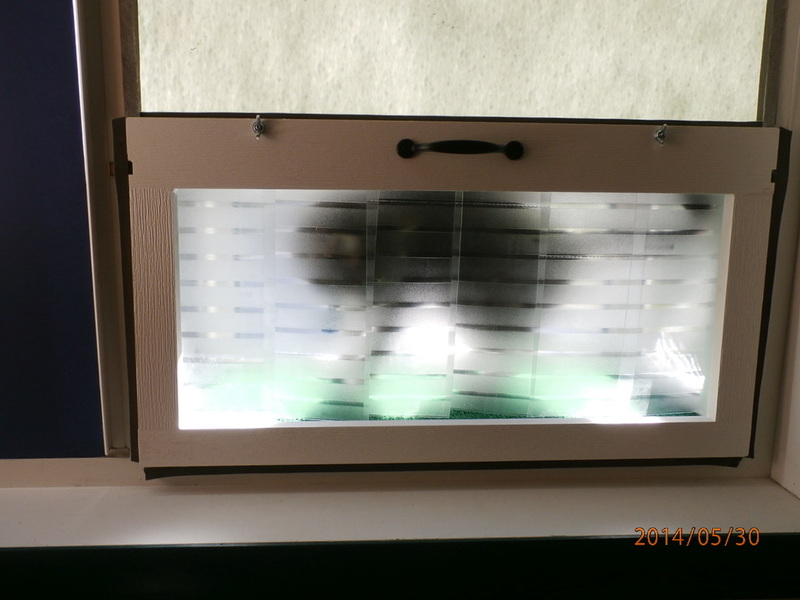 See a video of our Kitty Peeper window enclosures in action! (click here) The video shows our up/down window model, but the panels provided for the sliding window work the same way, but cover the gap above the Peeper. Each unit is constructed by hand from start to finish. Built to resist water and UV deterioration for years of use. Simple, adjustable securing tabs will accommodate nearly all sliding window casements. The window must slide open to at least 18.5 inches for the smaller model. If the window opens to at least 24.5 inches, the larger model would be the best choice. 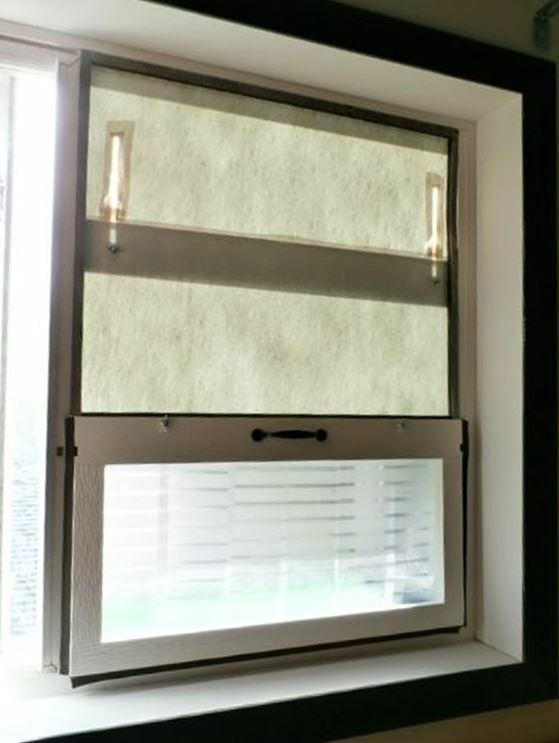 Currently, we are offering our Sliding Window Peepers for windows with opening heights up to 42 inches. There are many different sizes and designs of sliding windows. 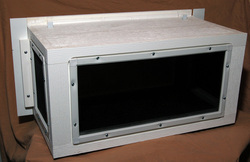 As such, we customize each order with the hardware and top panels that will fit your particular window. Please go here for a measurement guide and a link to send us the necessary measurements. If you have a window that opens least 24.5 inches wide, we recommend the large size Kitty Peeper. NOTE: Sizes noted on the right show the minimum window opening width needed to install the unit. (see measurement guide here). Both sizes are 12 inches in height, and 13 inches deep.